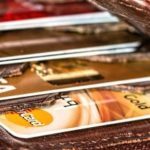 With millions of credit card holders in the United States currently, it’s hard to find someone out there that doesn’t have some sort of credit card. 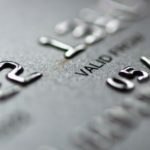 If you’re like many, you’ve heard of at least a few of the major credit card companies out there, like Chase, Citi, Capital One, and Bank of America. In this guide, we’ll be talking specifically about the best Chase credit cards. Chase offers a huge selection of credit cards that are meant to suit any user’s needs. We will be breaking down which Chase credit card is the best for different types of users and situations, as well as different ways you can utilize bonuses and benefits from each card. Read on to find out more about Chase credit cards! No doubt, if you’ve been considering requesting credit cards, you’ve come across Chase Bank. 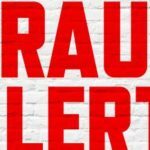 Maybe you have a family member who has an account with Chase, you’ve seen commercials on TV about it, or maybe you do your banking through Chase. Whatever the reason may be, one thing that we can say for sure is that Chase Bank is one of the most popular and widely known banks here in the United States. That’s because of Chase’s great reputation as a bank and success as a business. What kind of Chase credit card, or any credit card for that matter, is going to be the right one for you completely depends on your particular credit needs. For example, you might be a business owner who travels a lot. Someone in this situation might be interested in getting a Chase business credit card that’s partnered with an airline like United or Southwest. If you’re a college student who’s looking to start building some credit, you might want to consider a great starter card that’s easy to qualify for. Maybe you don’t really ever travel, but you shop a lot at restaurants or like to go out to the movies often. In this case, you would be looking for cards that offer either discounts or rewards points for purchases at these types of locations. Whatever your needs may be, Chase has credit card options that will suit anyone who’s looking to sign up for an account. 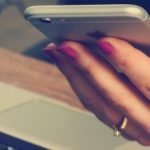 Before you start requesting approval for different cards, it’s important to understand how these credit systems work, and how you can make them work for you. Every person, as they start becoming financially stable and independent, will fall under a category of credit, either poor, fair, good, or excellent. This system is based off a score that ranges between 300 points at the lowest end, and 850 points at the highest. These numbers are kind of like a report card to credit agencies about your spending habits over time. 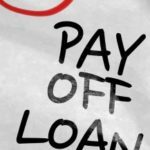 Having fair or poor credit can lead to only being able to qualify for bad credit loans or secured credit cards because the lender or credit agency is shown, by your score, that you aren’t very likely to pay your debt in full or on time. This can be changed and improved over time, but it’s important to be aware of what your score is before you start requesting credit cards. The reason it’s important to know your score ahead of time has to do with hard versus soft inquiries. In order to know if your request has been approved for a line of credit, the agency offering this to you must perform a hard credit check. This will temporarily knock some points off, so make sure you know which accounts you want to request approval on so you don’t keep lowering your score. Now, let’s begin looking at which Chase credit card is right for each individual situation. 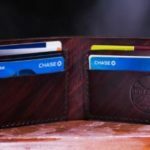 If you’ve never had a credit card before and you’re looking to begin using credit, Chase has a lineup of great cards to choose from. Something to keep in mind as a new customer is your credit – most people who’ve never owned a credit card before probably don’t have a whole lot of credit history. This doesn’t mean that you have a bad credit score, it just means that there isn’t a lot of information for credit agencies to see how well you utilize and pay off your credit. Luckily, a great starter card will usually leave room for those requesting approval who don’t have a lot of credit history. Cards like the Chase Freedom credit card. This is one of, if not the most, used Chase credit card out there today. 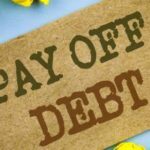 With a relatively easy approval process, many of those who have credit ranging from fair to excellent are using this card to give them everything they need. A lot of credit cards require a yearly service fee to keep your account open. With the Chase Freedom card, you won’t have to worry about that fee at all. One of the really cool and unique benefits that you can get from the Chase Freedom card is rotating quarterly bonus categories. Every quarter, purchases from certain categories will give you five percent on points and every quarter is something different. For example, the current quarter’s five percent bonus points come from purchases at grocery stores, PayPal purchases, and payments through Chase Pay. As a new Chase Credit card customer, you will qualify for absolutely no interest on payments for the first 15 months of use on your card. 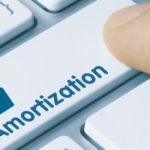 This is extremely beneficial for those who are using their Chase Freedom card for a big purchase like furniture or a down payment on a car. Another awesome perk you get from using this card is the one percent bonus points you receive on all purchases outside of the current quarterly bonuses. So even when you’re spending money on items outside of the special bonus categories, you’re still receiving points on all transactions. There are several other amazing benefits you’ll find from using the Chase Freedom credit card. Everything from special discounts from participating businesses and companies, travel points, and so much more. If you’re looking for a great card to get started, this is the Chase credit card for you. When it comes to credit card rewards, Chase has some of the best cards for this. Each card has its own unique rewards that offer benefits for different individual’s wants and needs. Let’s take a look at some different cards that offer the best rewards for different situations. Many people use a credit card, especially a Chase credit card, for gathering travel miles. If this is something you would be interested in, then you have a lot of options with Chase. One of the best credit cards Chase offers for travel rewards is the Chase Sapphire Preferred credit card. This card offers you 2X reward points on all dining and travel purchases, up to 50,000 bonus travel points, and tons of other great perks. 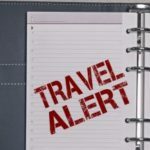 For example, Chase Sapphire Preferred cardholders whose flights are delayed more than 12 hours will be provided a $500 food and hotel voucher per ticket, per day. You also have great deals on car rentals, rental insurance, and travel purchasing insurance up to $10,000. If you travel a lot, this is definitely going to come in handy. Now there are also several different airline-specific cards offered by Chase that may suit your needs if you fly often with a specific airline. Chase has airline credit cards with Southwest Airlines, United Airlines, and British Airways, and each card comes with different sign-on bonus point offerings. Many consumers are moving towards using credit cards for the cash back rewards. Chase is one of the leaders in cash back bonuses and has a few cards that could be great for those who are interested in using a credit card for such. The Chase Freedom Unlimited credit card is an awesome option for this kind of reward. Like the Chase Freedom card, the Freedom Unlimited has no annual fee, no interest for the first 15 months, and an initial bonus of 15,000 points. What’s different about the unlimited version of this card is the way you earn bonus points. With the Freedom, you only earn one percent cash back on all purchases aside from the quarterly five percent brackets. These quarterly brackets are great, but there are limits to how much you can earn, only up to $1,500 per quarter. With the Unlimited, you don’t have quarterly bonuses, but rather an unlimited and consistent 1.5 percent back on every single purchase. This usually will amount to more rewards, in the end, depending on how you save them. 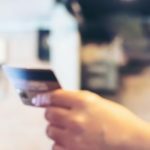 If you’re looking for a Chase credit card that will give you discounts on products or items you purchase, look no further than the Chase Sapphire Preferred credit card. This card comes with so many benefits, it’s hard to list them all. Just like all of its benefits for travel, it offers awesome discounts on insurance, rentals, hotels, flights, and so much more. You do have to pay an annual fee of $95, but it’s well worth it for all of the savings, rewards, and benefits that come along with it. If you’re looking for an awesome Chase credit card for your business, there are a few options here that could suit your needs. Let’s look at a few. This card is amazing for those who spend quite a bit on initial business purchases throughout the year. It offers up to 80,000 bonus points when you spend just $5,000 in the first three months. If your business is spending that much already, it means you’re getting a free $800 just for spending like you normally would. These points can also be redeemed through Chase’s portals which optimize these points for even more. You also will get 3X the points on select business expenses. That’s huge for a business, especially a growing one! You’ll also enjoy no foreign transaction fees, a maximum of 22.24 percent APR, and travel/purchase coverage. This is a newer Chase credit card for businesses and works similarly to the preferred, with a few extra perks. First of all, the maximum interest rate is about five percent lower than most all Chase credit cards at 20.49 percent. Also, you get lots of rewards for everyday business expenses, including two percent cash back at gas stations and restaurants, five percent on select business purchases, and one percent for everything else. There’s no annual fee, no interest for the first 12 months, and you get $500 bonus cash back after spending just $3,000 in the first three months. Chase offers a lineup of business cards from specific airlines and hotels. If you’re in a business that requires a lot of travel, any of these cards might be right for you. If you fly either Southwest or United often for business, you’ll enjoy up to 60,000 bonus points when you spend the specified amount in the first three months. You also will receive discounts when you purchase tickets through either of these airlines. If you stay at Marriott hotels often when out on business, you could benefit from the Chase Marriot Rewards Premier card. It will give you 75,000 rewards points when you spend $3,000 the first three months, as well as lots of discounts with Marriot. Any of these cards will give your business the boost it needs to push on further and start earning more useful rewards! For those who are looking for the ultimate Chase credit card that can offer you just about anything you might want or need from a credit card, look no further than the Chase Sapphire Reserve credit card. This card comes with a pretty hefty annual fee of $450, but the benefits that you get from this card more than outweighs that fee. With the Chase Sapphire Reserve, you get 3X points on all dining and travel purchases, $300 annual travel credit, and no international transaction fees. There are so many more amazing benefits that come with this card that make it more than worth that annual fee. All around, this card will give you the most benefits whether you’re an average user, a newer user, a business user, or a travel junkie. Whether you’re looking to get a Chase credit card for business or pleasure, Chase has a card that will fit your specific and unique wants and needs. 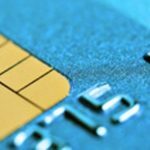 Hopefully, this guide gave you all the information you need to find the right card for you and gave you some insight on how to optimize your credit card. For more amazing tips, guides, and information about credit cards and other financing tools, check out our blog! You can also find more amazing credit card offers and insights on our website as well – come by and see for yourself. 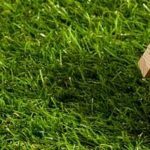 Whether you are looking for advice on personal loans with no credit check or small personal loans, we have the necessary information advice to help you make the right decisions.